Thank you to Helpshift for underwriting CXOTALK. What is the future of mobile computing? Microsoft’s Kevin Henrikson and NYU Professor Anindya Ghose tell Michael Krigsman of CXOTALK about why mobile products are increasingly important, how they’re changing and what issues lie ahead. Henrikson offers insight on what it’s like to develop mobile applications for one of the largest software companies, while Ghose recently wrote the book “Tap” about the mobile economy of smartphones and the limitless future of AI, augmented and virtual reality, wearable tech, smart homes, and the Internet of Things. Henrikson is the partner director of engineering at Microsoft, where he is responsible for mobile products on Android and iOS. He is also an advisor and co-founder of Alpha Brand Media, and co-founded Acompli, which Microsoft acquired in 2014 for $200 million. Ghose is the Heinz Riehl Chair Professor of Business at New York University's Leonard N. Stern School of Business and the Director of the Masters of Business Analytics Program at NYU Stern. He has consulted for Apple, Facebook, NBC Universal, Samsung, and collaborated with Adobe, Alibaba, Google IBM, Microsoft and more leading Fortune 500 companies. He has published more than 80 papers in premier scientific journals and serves on the Research Council of the Wharton Customer Analytics Institute. Michael Krigsman: Mobile is huge! Mobile is so huge. It is a four trillion, or three trillion dollar influence on society. And today, on Episode #250 of CxOTalk, we are speaking with two of the top mobile experts in the world! I want to say "thank you" to Helpshift for underwriting this episode of CxOTalk. Helpshift provides a customer service platform for mobile apps that is used by the largest organizations in the world. And their CEO, Abinash Tripathy, has been a guest on this show. It's a great company, and thank you so much to Helpshift. And I also want to shout out to Livestream for providing our video streaming infrastructure. Those guys are great and have supported us since the beginning. So, our two guests today. We have an incredible professor from NYU and we have a gentleman from Microsoft. And, let me introduce Anindya Ghose, who is a professor at NYU! Hey, Anindya, how are you? Anindya Ghose: Hey, Michael, I’m good! How are you? Michael Krigsman: I am doing really well. So, Anindya, you have written a book and you’ve been studying and researching mobile, so tell us about all of that. Anindya Ghose: Sure! So, I am a professor of business analytics at New York University, and my research essentially looks at understanding the economic and social implications of internet and mobile technologies, phone strategies, market transformation, and consumer behavior. And, this book that I wrote is essentially my attempt at capturing everything that I’ve learned over the last decade in the space of the mobile economy. Michael Krigsman: And in a moment, I’m going to ask you to hold up your book, because I have a technical problem on my end, and so, your video has been frozen for a moment, but I’m going to get that fixed while we introduce Kevin Henrikson from Microsoft. Hey, Kevin, how are you? Kevin Henrikson: Awesome! Thanks for having me on the show! Cool. I’m Kevin Henrikson, previously co-founder of a company called Accompli, which is a mobile email app that we sold to Microsoft, that was quickly renamed to Outlook and so today, I manage the engineering teams for Outlook mobile and Mac. Michael Krigsman: So, Kevin, tell us about Accompli, because that's such an interesting story. Just very briefly; and tell us how did that morph into Outlook? Kevin Henrikson: Sure! So, quickly, I’ve been doing email for fifteen or sixteen years now, and various versions, and as my last venture was winding down, we were thinking about what to do next, and clearly one of the frustrations was dealing with email on your phone. And at the time, Mailbox had just been purchased by Dropbox, which was a consumer email app. And I was talking to some of my friends; my good friend Satish Dharmaraj, who is a venture capitalist at Redpoint, was saying, “Hey. Somebody should really build a great enterprise email app that works on the phone, that works with Exchange.” And so, we built Accompli, and after about eighteen months, Microsoft agreed that it was a great idea and decided to purchase the company. Michael Krigsman: And, you have… Can you share with us the rough number of users, just so we get a sense of the scale at which your product operates? Kevin Henrikson: Sure. I think publicly, we’d say tens of millions. But, you know, there’s a billion Office users in the world that use Microsoft Office, and see, as you can imagine, there are lots of users on the device today. Michael Krigsman: Okay. So, you have… So, that’s pretty large scale. Now, Anindya, tell us about your research and what have you been studying and what have been some of the key lessons about mobile that you’ve learned? And, please, hold up your book for us so that we can get everybody to take a look. Anindya Ghose: Yeah, so that’s my book. It’s called “Tap: Unlocking the Mobile Economy.” So, I first started looking at this topic in about 2007 or ten or so years back when the first iPhone, the first smartphone came out. And, I essentially was sort of intrigued by what I started seeing, consumer behavior on these devices, as in we started spending more and more time on these devices and as we started spending more and more time on these devices, it made sense for companies and advertisers to spend more money on the devices because that’s where the eyeballs and impressions are. But, the next few years, what I saw was quite the opposite; that even though consumer spending of time in […] mobile devices, companies who are not as enthusiastic in pumping money appropriately. In fact, they continue to put more and more money in print and traditional media channels like print, and newspapers and magazines. In fact, between 2012 and 2015, we had this massive inefficiency where consumers were spending 25% of their time on these devices, and advertisers were only pumping in 5% of their ad money on mobile devices. And so, what I’ve basically been curious about is why that gap exists, and existed, rather; and how should companies be thinking about monetizing that gap? 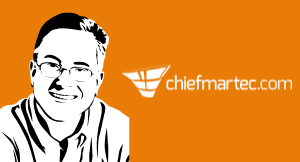 Michael Krigsman: I want to remind everybody that right now, there is a tweet chat going on on Twitter using the hashtag #cxotalk; and you can tweet in questions for our guest, and we will try to answer them. So, Kevin, this notion of the mobile economy and the gap that Anindya was just talking about, what do you see at Microsoft operating at the mobile scale at which you do? Mobile is becoming more and more important, you know. As we all walk around or as we do something throughout the day, we generally carry a mobile device. Where we might have a PC in our bag, or a laptop or a tablet, but the device that we pull out most frequently is that mobile phone and we see things like the session time; the time people spend in their email app on their phone is in the 20-25 second range. So literally, they pull it up, do a couple of quick things whether it's seeing when their next meeting is, triage a couple emails, quickly respond to something; but, being able to fight for that attention and even app that's launched hundreds of times a day. But even for something that's just 20 seconds is kind of a window into the way… I use it personally, but it will also kind of our broader user base uses the phone. So, watching the transition of the way you build apps and the way you present applications and the types of things that users want to do on the device is very different than the Microsoft of 20, 30, or even 10 years ago in terms of being much more PC-centric, and much more in terms of the desktop-type form factor with a keyboard. And so, there's just lots to think about, but it's an exciting time to be part of that transition. Michael Krigsman: Anindya, does that explain the nature of the kind of interaction that takes place on mobile versus desktop? Does that explain this rise in mobile or is there more to it than that? Anindya Ghose: No, I think… Like Kevin said at the beginning, the fundamental distinction between mobile and desktop is that mobile is portable by definition, unlike a desktop. So, that means you’re carrying the phone with you wherever you go and increasingly as we get more and more immersed and embedded in the device, the device is literally on you. We have seen a sense of people taking it into shower rooms. Even when they are taking a shower, they can’t get away from their phone. So I think the portability is directly the cause of increasing time that we are spending on these devices, but at the same time, what is also happening is consumers are also very heterogeneous in their preferences for what they expect from companies who are reaching out to them on their phones. So, you know, a lot of what I talk about in my book is this interesting behavioral contradiction between what consumers think they care about versus what they actually, in fact, really care about. An example of this is the question of how valuable their data really is. The vast majority of people will say we really care about the privacy for data, and they really care about “protecting our data,” and so on; but what I’m seeing in the last ten years and not just in the US, but in Europe and in Asia, is that increasingly we are willing to give up our data either for more convenience or some economic benefit. And, while that shift is driven by the i-Generation, the folks who were born after 1995, and also by the Millennials, there is also moving on to the other demographics as well. So, it’s really fascinating, and like Kevin, I’m also very excited to be in this space and just learning more every day about people’s behavior, about how companies should be thinking about these things, and so on. Kevin Henrikson: The point about “international” is pretty interesting because I think one of the things and a lot of the growth that obviously we see, and I’m sure you saw in your research is you go to countries like India and China where the PC penetration is much lower, and so there are entire generations or multiple generations that never kind of got the PC era right. And more established countries like the US or in Europe, they went through a pretty significant PC generation. The average information worker had one. Your plumber that would come to your house probably had a PC somewhere, probably not with him but at home. And you go to places like in India and China where the PC never became that popular. You know, the mobile phone… Everyone has a mobile phone. And that, I think, is part of the growth. While we’re seeing mobile just crush, in terms of desktop numbers, but also how people use them because it’s reaching every kind of economic, geographic, and social corner where the PC didn’t get there. And so, I think that’s attributing to a lot of the growth. And say, in our case, where a lot of the growth is growing faster, where a lot of the business is making more and more adoption of mobile technology. So, there’s also that experience which is, in a somewhat unique nature. And, that also raises some very interesting propositions for new models for monetizing consumer behavior on these devices. Kevin Henrikson: Yeah, I think that’s a great example. It’s funny how you see companies… Uber is an example of an app that I use that has a very different experience depending on where you go. Now since then, they’ve exited the China market particularly. But obviously, DiDi over there kind of won at some level and was also very interactive. But the way that Uber notifies you the way apps notify you in the US or how they interact with you is much lighter. They don’t promote you or send you promotions, but you land in China and you turn on Uber, and once Uber detects that "Hey, you're in China," you're literally getting four or five push notifications a day about "Try this!" or "Oh, you're by this restaurant." And, they were obviously already tracking your location and had all this data and knew your preferences already, but it was really interesting to see that the way the consumer is used to it, because clearly, they're doing something that in the US people would push back a lot more on because they're not used to that kind of aggressive notifications in marketing. And then, to show some of the gap where there's still opportunity is that when I come back to the US, still, for weeks, I kept getting push notifications from China and all of the promotions because they didn't detect, "Oh, by the way, I'm back in the US," and stopped the marketing machine. You know, I had triggered by kind of turning the app on in China. But yeah, I love the idea of thinking about it's not just that you're reaching a new segment of users, you're reaching a new segment of users that aren't accustomed to that new kind of relationship of how a company and a user interacts on the phone. And people are like, "Hey, this is a two-way conversation," and when I'm on WeChat in China, I'm opting into all kinds of things and that turns into a crazy couponing, just the way direct mail in the US. Every time you go to a mailbox, you see a stack of things you didn't really order. But one out of ten times, sometimes it's interesting. You're like, "This is a coupon for a place I actually go. I'm going to keep it." In India, you see these promotions and super interesting. Michael Krigsman: I was going to say, Anindya, this notion of mobile customer experience, or mobile experience, maybe you can talk about the importance of that. It seems like it’s a very common theme that’s underlying all of this. Anindya Ghose: Yeah, absolutely! And so, one of the things that I found in working with a lot of these companies is that the biggest complaint people have with mobile apps is that it’s at a high frequency and low relevancy of that. And so, the basic idea is I open up a mobile browser or mobile app, and I’m going to be […] these ads and offers that have been sent at a frequency that is too much and a relevancy that’s too low. So, they want it the other way around. They want it to be high relevancy and low frequency, but right now it’s high frequency and low relevancy. And the reason is that advertisers are still throwing darts in the air hoping that one of them will hit the bullseye, right? They don't know enough about our preferences because the data is all in siloes and someone has to stitch it all together. It's all right there, but somebody has to do the job of stitching it together. In the absence of a profile that is precise and accurate, and has not been properly stitched, what the advertisers can possibly do is throw ten darts, like Kevin was saying, hoping that one of them will stick. Kevin Henrikson: Yeah, I love that kind of comparison, right? I’ve used these virtual assistants, right? So, Fancy Hands, Fin, Magic, there are tons of them out there that are trying to act like your virtual butler at some level, right? But still, you end up having to teach them too much because you have to tell them, “Hey, I’m going here. I’m doing this. This is the way I want when you book my flight or when you book a hotel room. I don’t want extra pillows.” You know, kind of random things over time that, again, some of those your device will know, but generally, the profiles of those companies that you stayed with, whether it’s the Starwood or Hilton hotel chain, or I fly Alaska and they know that I always want window seats if the flight’s more than this many hours, but I may want aisle seats on certain kinds of flights. Whatever those preferences are, clearly, they have that data in siloes, right? There’s no way to teach my butler that. And even Alaska, at some level, when I go to the Alaska website, I still have to pick the seat that I want, and no matter if I tell them I prefer one thing, it’s not automatic, right? And so, I think the opportunity for that to get just magnitudes better as we find ways to kind of have the data shared across siloes, or more importantly, have that data be more personal or carried with me on my device versus being siloed with a given organization or a company. Michael Krigsman: We have some questions from Twitter. And, I want to remind everybody that there’s a tweet chat going on with #cxotalk. And, I want to, again, thank Helpshift for underwriting this episode of CxOTalk. You guys are totally awesome and I’m very grateful for that. What about… We have a question from Twitter and Taylor Davis is asking about digital experiences and content. Any thoughts on that? Anindya, what do you think about the changing nature of experience on mobile? Anindya Ghose: Yeah. I mean, what I’ve learned over time is that mobile has made us less patient, you know? In the sense that while the mobile economy has obviously benefitted from the emergence of all sort of business models, whether it’s the sharing economy like Uber or Lyft or Airbnb, or instant groceries, or instant ordering your wine and beer, it’s just made us, in some ways, less patient and maybe a bit more lazy. But, in terms of sort of the experience, if you start thinking about experience outside of this, then it’s pretty […] to de-engagement that users had with content on mobile devices, I think we still have a long time to go. Over time, we’ve learned a few things about the tricks of the trade; responsive design website, apps, etc. Minimizing the number of ads and payments and so on and so-forth, but I think we still have a long way to go because of the trade-off that I mentioned between the relevancy and frequency of messaging, right? So, what has to happen is that the frequency of messaging has to come down and the relevancy has to go up in some ways, to find that sweet spot. And, the good news is that all the use-cases that we mentioned in the book, is that those companies where we worked in making this happen are actually feasible. It's actually possible. None of this is rocket science. It can be done. So that's the good news. Kevin Henrikson: Yeah, I think the point about not being rocket science super resonates. Because, a lot of these things that, as the user, you think about in your day-to-day life, like, I just want something to be easier, right? I want you to remove friction and the device has all this context and the device knows all this about me, and a lot of times, it's very simple. Like, just provide me a way to do that. And, a super-simple example like an email is you frequently get… somebody emails you a large presentation, you're on your device and [in] apps of years ago, if I wanted to send it to somebody else, like I wanted to send Micheal that presentation or reply to Michael's email and send a presentation that Anindya sent me, I would have to go to the email and either forward it, or download the attachment, reattach it; and of course, on a mobile device that's a ton of thumb gymnastics. And, if I'm in the airport running between flights, my WiFi's a little dicey, right? Well today, we provide a feature in Outlook where you say, "Hey, I replied to Michael's email. I can attach from before, right? Like, it's clearly in the cloud. It knows that attachment. I can grab that attachment, attach it without having to download it and attach it […]. Think of a multitude of use cases where you're like, "The data are there." Companies have that data or, you know, the device has the context. It's just we need to redefine the content or the apps to be able to take advantage of that so that the users will do it. Because you provide those paths for the user, they become incredibly useful and incredibly… And from our case, tons of retention, right? Because users say, "Hey, this is the way that I know how to do that and it saves me twelve taps and I can do it when I'm running between flights or on questionable network connectivity." Michael Krigsman: So, that question, that issue of retention; is that the key metric? Are there other metrics that we should be thinking about in terms of evaluating mobile and mobile experience? Anindya, what do you think about that? Anindya Ghose: Yeah! I mean, you know, I guess it depends on which part of the ecosystem you're talking to. This ecosystem, you know, is a big one, it's a complex one starting from telecom providers to hardware manufacturers to the operating system folks, to the ad-tech network sitting in the middle between brands and publishers. And everybody's invested in this ecosystem, but they all have their own metrics. For example, if you're talking to an advertiser or the ad-tech platforms, they are looking at engagement rates. So, I'm going to send you, I'm going to show you five different ads over a period of time. Are you going to be engaging with any of them? If you are engaging, how long are you engaging for? So, based on who you talk to, they'll have essentially different engagement metrics. What I find also very fascinating is how telecom providers are molding into this whole ad-tech space. We saw this would be Verizon, AOL, Yahoo, Deals, we have seen this with the AT&T Time Warner and will continue to see this more and more. And so, the same telecom providers who would previously be interested in voice minutes and internet users and text messages; their own metrics and KPIs are now changing in similar ways to what the ad-tech platforms are thinking about. And so, I just find this whole mesh fascinating. Kevin Henrikson: Yeah, I mean, Xfinity's launching their own mobile network, right? Which is, you think of a cable provider, now they're launching a mobile network and saying, "Hey, we've set up enough home cable modems and they've got that feature in there where you turn on and it kind of turns into a public WiFi hotspot for every cable modem, and now you roam through the neighborhoods and you're basically going to be running a mobile phone off of shared kind of backhaul from their networks. And you even think of them looking and mobile… And, I think retention's super-important for app builders only because it's one of the things you can control, right? If you build a better app, and yes, you can go and spend marketing money or have a great brand or all these things and that can change the shape of your funnel, but at the end of the day, if you're losing all the users at the bottom because they're not retained, you're not building an app that's serviced to users. We always joked that "Users haven't stopped using their phones," right? They're still using their phones, they're not using your app. They found another way to do that purpose, or you haven't provided enough, call it the "lazy factor" that allows them to go do it. There are ten different ways I can order food to come to my house on my phone through different websites, through different apps, and which one do I go back to is the one that's made the friction list and can do it in time. Some apps work during the day during dinner time; there are tons of options! But, if I want a snack at 5 AM or super late-night, that's a different set of things. And so, looking for that and seeing apps that build on those is like, "Where do those dollars end up going, right?" I'm trying to go buy a burrito at a certain time of the day, I'm like, "Where do I send that dollar," right? And then, for an ad provider, it’s monetization, right? If you know […] how are they making money, and this goes back to this engagement model. Anindya Ghose: Yeah, yeah. And you know, it's because of that retention that you are talking about. The importance of retention or apps, you do not see how app stores, whether there is Apple or Google Play, they have revised the algorithms, they use […]. Earlier, it used to be based on downloads and the number of downloads, and now if I'm […] I wait for all of this and focus pretty much on actual usage and actual retention; how much time are you spending in the app? How many sessions do you actually spend and even if you have time, how deep do you go within an app? So, that also explains why retention's such an important metric for other levels. Kevin Henrikson: Yeah, and for the providers, it makes a ton of sense, right? Because, at the end of the day, if you’re using tons of apps on my iOS device, or tons of apps on Android, the more apps you’re using, the stronger your relationship with that app store model becomes in the sense that the stronger the relationship with their underlying platform becomes. Michael Krigsman: This is such an interesting issue. So, when you talk about retention, you can control retention through user experience and through the design of your mobile app, it really hammers home the importance of user experience and at the end of the day, that user experience is kind of the bedrock. Anindya Ghose: Yeah, totally! When you block the distribution of or usage of apps or time, what happens is the average smartphone user has approximately thirty apps on his or her smartphone, but they're really using less than six apps on a regular basis. So, when you plot the distribution, you see this long tail, and nobody wants to be in the tail; everybody wants to be in the head. But then, the head, the top ten or the top hundred apps that are dominated by a handful half a dozen companies, right? So, Facebook and Google between them have nine of the top-ten apps or something like that. Kevin Henrikson: Yeah, that’s a good point. I mean, the usage of these apps, right, is really driven by, again, what is the experience? Are you getting users to want to stay in the app? We always talk about apps; there are lots of apps that are designed to waste more time. Like, Facebook, their whole goals is “Please never leave this app.” The next photo is coming. They bait you into like wasting time, and then, you look at apps that are kind of in the space where I work is more productivity apps and our goal is to give you time back. Like, you don’t want to go spend hours and hours reading your email. You want to go in and get something done, you want to go make that calendar appointment and make that change, but you generally aren’t hoping to just be endless scroll where it never stops and we just keep feeding you data underneath. The social apps are kind of designed the opposite, right? They want to continue to bait you to make one more scroll, one more scroll, just to get a few more eyeball seconds on that screen so that eventually or depending on where they are in their monetization journey can sprinkle in an ad, or sprinkle in some monetization models for them. Anindya Ghose: Yeah. I mean, actually, your app is actually a better fit for my stocker, the concierge model, right? Because your apps are making it more convenient, but they are also making the time more productive for the person, right? So, it’s a nice combination of increasing convenience and also making the […] more productive. Kevin Henrikson: Yeah, that’s a great example. Michael Krigsman: So, you’ve really got to… So, the developer really has to have a clear understanding of what their app is trying to do and how users will relate to that app and what users want to get out of it. I mean, Kevin, as you’re designing product, where does that understanding of the user come into play? Kevin Henrikson: Yeah, I think obviously, thinking about the user is probably the most important thing and probably one of the hardest things we do. Because when you’re building an app at the scale of, you know, billion users, right? That’s a lot of users to have to understand their use-case, right? And the use-case for myself, where I have multiple email addresses, I receive hundreds of emails a day and send anywhere between 100 and 200 emails per day on an average day is very different than a consumer who is used to checking their email maybe once a week, or in China where a majority of their communication is not over email, it's over chat apps like WeChat or WhatsApp, or something like that. And so, clearly, the professionals in China that do have email do use email apps and do check their email, but just at a very different frequency and the type of email that they get is very different. In many cases, you talk to them and it's like the promotional or the sign-up email to enable them to go do something else on WeChat to kick off a coupon or something like that. And so, as we think about an Outlook and an Office, defining experiences is you can start with yourself, but you’re not the user, right? Like, you’re generally not going to map back to the broad masses, and so I think the more important thing is not looking at a specific user, but it’s the ability to have the app be adaptable, right? So the app should be just as flexible for somebody like myself where I’m inbox zero, I never have more than a handful of emails than my inbox… So, I’m very aggressive about triaging and moving them to archive. But less than five percent of the users in the world are inbox zero, right? We look at the stats and most people are what we call “pilers,” right, where they just let emails pile up in their inbox and they kind of have this infinite scroll, and they have hundreds or thousands of emails unread; and they kind of have a mental barrier of what they’ve managed, or what they’ve done and they note things where they’re at. But, we need to design an app that works for both, right? Like, some apps are filers where they have hundreds and hundreds of folders from the old desktop or file system era where they’re used to putting emails in folders. And so, we need an app that works well for people that have hundreds of folders or like myself, that has literally one folder called “Archive” and I just move everything to archive. And so, as a developer, when you think about wide scale, you can start with… and be opinionated and have an opinionated design when you develop an app. But I think the most important thing is to listen to users and look at the usage and understand and evolve. So, we're constantly, we've been building this app from Accompli and Outlook together over four years, and we're still not done. There are tons and tons of work to do to make it better, to try to remove the number of taps. Like, one of the things we track, how long does it take to send an email? How many taps does it take to create a calendar event? Removing the number of friction in that, and then you have to say, "Oh, that may be different for somebody who's…" You know, when they see an email, they want to triage it into a folder versus somebody who wants to just let it scroll by and they don't do anything, right? And so, we need to design the app in a way that it’s kind of scaled up. And you mentioned responsive web design? At some level, this is like responsive… The app needs to be responsive to usage, right? And just like when I go into a GPS or something and I start to type, it remembers what I’ve typed before. The location and the calendar event, it remembers that I’d like to meet at Starbucks. Well, it’s not the Starbucks in Seattle, it’s the one in San Francisco. It’s not the one in New York. But again, when I’m in New York, it is. I go to Dunkin Donuts, that’s the place I want to meet people. We’re going to start our morning there, right? And so, being able to know the difference and understand that context is something that’s a challenge, right? Because, we do have a lot of data and the app context, but taking advantage of that in a delightful way where the user’s not, A, creeped out by it, or B, that it doesn’t become a pain where you’re recommending stuff that just doesn’t make sense. Michael Krigsman: Anindya, very briefly, has your research looked at this issue of the data providing that delightful experience versus being creeped out? What about the whole privacy? And we had a question from Arsalan Khan on Twitter about that, as well. Anindya Ghose: Yeah. No, in fact, we’ve done a ton of work in this space and trying to evaluate how consumers react to these things. And, a couple of things. One is people often ask me a lot about their locational differences between folks in China or the US or Brazil or Germany, or South Korea… I actually did not find any major locational differences. I found generational differences as in, the Millennial in Sao Paulo or in New York City or in Shanghai or in Mumbai are very, very similar; and the opposite is true for X and Baby Boomers. So, the generational differences in how people react to these things, not a whole lot of necessary locational differences. But also in terms of the user experience, people say, look, we want two things… Notice and consent. So, when a brand says, I’ll notify you about how you’re going to use your data and we’ll seek your consent, that’s all people are looking for. So, when we did these in a project seeing large shopping models using the WiFi technology and beacons to send people targeted offers by attracting the trajectories, use a simple two-step process. When you sign up on the WiFi, you are told you have two choices. If you opt-in, we will monitor your trajectories in the shopping mall, and in return for giving us your data, we will send you high-targeted and less frequent offers. Or, you don’t opt in, and you still can use the WiFi but then you’re not going to be able to get these offers, right? And so, I think that the super-important point is we’re developing apps that are super clear and up-front in a frictionless way, right? Just say, “Hey! This is a feature and we try not to prompt for all kinds of permissions on the app.” When you first install it, it’s as you use it. You say, oh you get to this point, you say, “Hey! We could insert your location information in this email if you want to send your location to somebody, or we could recommend this,” and then at that point, it gives you that choice. Would you like us to look, or not? Right? And then, of course, once you get that permission, then you need to respect that and use it for what you’ve asked for an not abuse it for some other purpose. Anindya Ghose: Exactly. And, that’s when you become the butler and if you end up abusing it, become the stocker. Exactly. Michael Krigsman: So, Kevin, we’ve been talking about mobile experience and one part of that relates to your relationship with Helpshift, which, I’m so grateful made it possible for us to do this show by underwriting CxOTalk. And so, tell us about that aspect; that support; the role of mobile support and what are you doing with Helpshift? Kevin Henrikson: Yeah, absolutely! 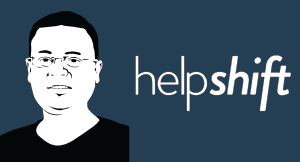 So, we've been using Helpshift since before we were even acquired by Microsoft. So, as part of Accompli… And for me, it was a very personal thing, right? When we started the app, there was literally two users. It was my wife and my co-founder's wife, right, other than the people in the company. And, you know, we get home at night and they would say, "Hey, I have a problem with this app and this thing didn't work," and imagine an app that's weeks old. It's still certain kind of emails don't render, certain things don't work, and they would start to show us something and explain it, like, "I need this data," or "I need to connect to the app to my XCode to download the iPhone logs off the app." Then, what we realized over time is that we needed a better way and more scalable way to do that. And so, we started inviting friends and family, and obviously, more and more people started to use the app. We needed a scalable but yet delightful way to capture and communicate with our users, so capture debug data but then communicate with them. And so, from the very early days when we had this in-app support that was provided by Helpshift, which was a very rich kind of two-way conversation. And so, if you think about most consumer apps today, they make it very, very hard to contact the company because of the scale they’ve reached, they don’t actually want to talk to you, right? They want you to go through a bunch of FAQs or hoops, and you can imagine trying to cancel your cable service or call into a help call, right? The number of menus you have to get through before you actually get to a human is hard. And, we wanted to lower that barrier so, in Outlook, and previously Accompli, you literally tap Settings | Help | Contact Support and you open a two-way chat with the team. And so, even today, at the scale we’re at today, we handle tens of thousands of support tickets a day from the mobile device, right? And so, people come in. And granted, we have a slightly bigger team now that’s managing those inbound support transactions. But in the first early session, I did four thousand tickets myself over the first year or so — we were much smaller at the time. But, being able to talk to users and have that conversation with them directly, and provide them [solutions to] problems. We see very frequently, users come in and say, “Hey, this doesn’t work,” or “I really want you to build this feature.” And it becomes invaluable to us, right? And it’s the data that we get and feedback that we get from them to say, “Hey! This isn’t working for me and this is why,” or, “I ran into a bug" or "I saw a problem,” and we were able to capture that information in a place where they’re at, and not have to say, “Oh, can you go and try to reproduce it or do this?” It’s like, “No, you just go into the app, and you contact support.” You don’t have to call a phone number and try to explain to me what’s going on. Michael Krigsman: It’s really interesting to me that you felt so strongly about this need for mobile support right from the beginning of the company when you had two users, and of course, now you have hundreds of millions of users. And it sounds like your viewpoint has remained constant in that. Kevin Henrikson: Yeah. I mean, in fact, now Helpshift is in almost all of the Outlook products inside of Microsoft, right? And it’s moving into other parts of Microsoft as well. Other teams have adopted this model of basically bringing support inside the application, right? Users want their problems solved. Nobody wakes up in the morning and says, I’d love to contact support." Right? They just say, “Hey, I ran into an issue. How can I quickly get it solved?” And whether you’re in Word or PowerPoint, or you're on Outlook.com with your webmail, or you're in your Mac Outlook client or your desktop, what it is, you should be one tap away to contact support and type in your problem. And then, if you want to send a screenshot, there's a button for that so we can see what you're talking about, versus you think of the way traditional support works. And many apps today, you still have an app, and you open it up and it says, “Hey, call!” You click onto this and you call American Express and talk to them and you’re like, “Dude, really? I have a problem with the mobile app,” and now I need to have a conversation and you’re like, “Well, I see this screen and this,” and the agent’s like, “Who are you and what are you calling about, and give me all this information about you.” Going back to our earlier conversation about the butler, our support people are kind of like butlers, right? Because I tap in app support, I already know what device you’re on. “Are you running the latest version of the app?” You know, ten percent of our support tickets, the user files a support ticket from an older version of the app and the solution is automatic. It’s like, “Hey! We noticed you’re running an app version that’s more than three weeks old. Please go to the app store and just update.” And, a huge number of issues are solved that way, right? Whereas if you thought of calling a phone number, it’s like “What version are you running?” Well, how do I even know what version of the app I’m running on my phone, right? And just imagine that the painfulness of that conversation of like, “What’s your name again? Are you a customer or not?” Like, for us, 100% of our support tickets come from customers because they had to have the app to even file the support tickets. So, it creates a bunch of really, really awesome incentives that even at scale, actually continue to pay benefits for us. Michael Krigsman: And I have one last question for you on this topic. How do you do this at the scale? I mean, it’s almost inconceivable for me and for most people to think about how you do this at the scale at which you operate with Microsoft mobile? How do you do it? You instantly get this diagnostic kind of packet that can be solved. And today, already about 15% of our tickets are solved without even going to a human that would have went to a human because we look at the details of those diagnostics and are able to tell the user, “Oh, we saw this error and we know that this error means that you need to go do this thing.” “Oh, you’re on Apple and you turned on two-factor auth, but forgot to enable it.” So, the big part of this scale comes from the ability to have that context and then the ability to have a really rich agent software that Helpshift provides to make it super efficient for our agents. Michael Krigsman: And Helpshift provides the infrastructure for this. Anindya Ghose: You mean, like 140 characters? Michael Krigsman: Yeah! Yeah, like 140 characters. Anindya Ghose: Umm, I don’t know. I think, you know, what I would tell the average person is, you know, we are not ever going to live in a world that’s impactable in the sense that the relationship between, you know, hackers and the rest of the world will always remain […]. So, you know, I don’t think we’ll ever be in a world where we’ll never have to worry about the security of our data. But, but taking very simple precautions, I think we can eliminate maybe 95% of those risks. And, I’m willing to live in a world where I can eliminate the vast majority of those risks in order to benefit from the upside of all that can happen to my mobile device. Kevin Henrikson: … the sense that it's sort of like the privacy question earlier. Like, what are you comfortable sharing? And I think security kind of maps back to that, like whatever you shared with your device, and is it work the risk or the benefit, right? You're saying, "Hey, I want the most secure, digital way." I'm like, "I have no computers." I could live in a hut in the middle of the forest and have nothing around me right, and say, "Well, I'm super secure, but now the tigers might get me, or the animals might get me, right?" 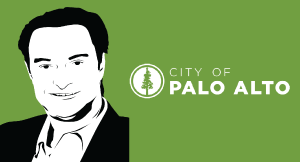 And so, I think… You're like, "Well, I want to live in a neighborhood, or I want to live in this particular area, or I want to," you know, interact with mobile devices. So, I think from a mobile perspective, I think it’s, you know… Companies are trying always to get better at this and to look for opportunities to improve it. But, I think the most… Use some common sense stuff, right? In terms of a user perspective to, you know, use the tools that are at your disposal to set a good password, enable two-factor authentication and those kind of things, but there’s always going to be this constant struggle between what’s the balance between how much security you want, and how much freedom do you want to have in passing data back to your device? Michael Krigsman: And, my last… We could keep going on for a long conversation here. But, we're pretty much out of time. So, my last question to each of you: You're both researchers and practitioners and you're in touch with all these users and the largest companies in the world. You're both doing these amazing things. And so, that means that your crystal ball should be better than ours, meaning like the rest of the people out there's crystal ball. And, certainly better than mine. And so, what is… Where is all of this going? What will the impacts be on developing economies versus developed economies? And, in the world, what's the fundamental impact on the world that mobile will have? And again, you have about let's say thirty seconds to answer? Kevin Henrikson: Yeah, I mean, the big thing I think is just that it's still early, right? It's still early in terms of the pervasiveness of, I think we let off the call with like, "What's the impact on the economy, right?" It's still a small fraction of the total GDP. In terms of how mobile is having an impact, it's a huge impact, but it's still pretty early, right? There's still an incredible amount of growth both in the time that people spend on their devices and the power of these devices in being able to better leverage the context that you give them to basically provide a more delightful experience. And so, I think the opportunity there is still more ahead of us than is behind us, and I think that's pretty exciting, right, in terms of giving us opportunity. I think it's going to take a lot of work to make that better, but it’s also pretty exciting to know that there is more opportunity ahead of us than behind us. Anindya Ghose: I can’t give all these examples in […] where mobile has fundamentally transformed people’s lives, from minimizing frictions in payments to maximizing returns from agriculture, to helping spread important aspects of healthcare and so on and so forth. I think the world’s going to be a better place because of the presence of mobile devices and not the other way around. Michael Krigsman: Okay! Well, this has been a very fast forty-five minutes. You have been watching Episode #250 of CxOTalk. And, we have been speaking with Professor Anindya Ghose, from New York University, and with Kevin Henrikson from Microsoft. Anindya, thank you so much for being here with us! Anindya Ghose: Thank so much for having me! Michael Krigsman: And Kevin, thank you for being with us! Kevin Henrikson: No problem! Appreciate the time! Michael Krigsman: And, thank you to Helpshift for underwriting this episode. And, tune in again next week. We have another amazing show coming up, and thank you, everybody! Have a great day! It seems every venture-funded startup wants to be an enterprise software company. Yet, selling to the enterprise is challenging and requires special skills and experience. This episode explores the challenges and solutions with someone who has successfully built a software startup with large enterprise customers. What is marketing technology and how is it changing? Scott Brinker, co-founder, president and CTO of ion interactive, tells Michael Krigsman of CXOTalk about the changing landscape of post-click marketing and conversion optimization through AI and greater personalization. Frank Diana has 29 years of organizational leadership experience in technology and general management. Anthony Scriffignano has over 35 years experience in information technologies, Big-4 management consulting, and international business. Sciffignano leverages deep data expertise and global relationships to position Dun & Bradstreet with strategic customers, partners, and governments. Software systems that learn are on the cutting edge of practical A.I. But what’s the market for these mysterious technologies, and how will they transform the business economy? 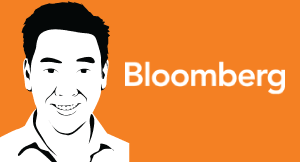 James Cham, a partner in the investment firm Bloomberg Beta, explains the machine learning market and how these technologies will change our world.